Hey guys, I hope you all doing great! Summers are here, and every girl needs a face cream/ lotion that keeps your skin healthy, soft and protected, then you must have a look at this product. 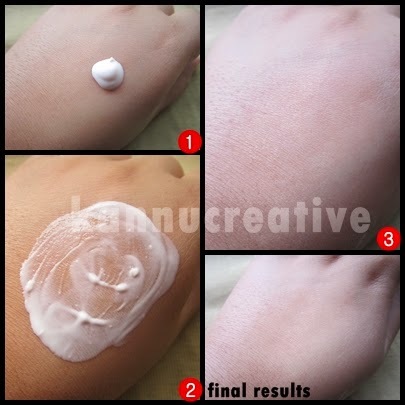 Today I'm going to review POND'S Flawless White visible lightening daily lotion. And then made up my mind to try this brand and the results were awesome. 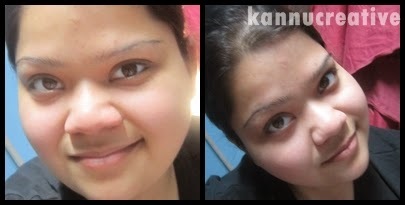 This cream is super amazing, not just for summers but also acts like a makeup base. I always apply this before I do my makeup stuff. It keeps your skin soft and protected from makeup foundations, concealers, and all other stuff. POND'S IN BRIEF: It was invented in the United States by pharmacist Theron T. Pond in New York, in 1846. Pond's is a brand of beauty and health care products, currently owned by parent company the multinational corporation Unilever. You'll see a wide range of products that are made especially for your skin and make your skin healthy, happy and soft. 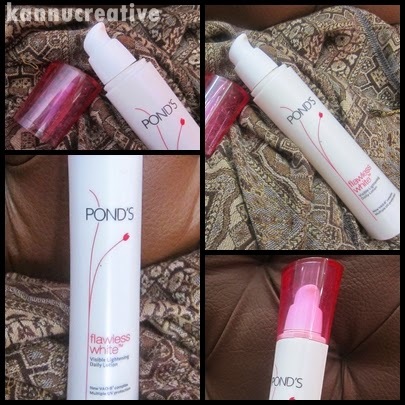 PRODUCT DESCRIPTION (according to Pond's): This lightweight lotion enriched with VAO-B3 and SPF 15 PA++ locks in moisture for more than 24 hours, and also protects the skin against UV rays. Look forward to spotless, radiant skin like never before. A powerful combination of Vitamin E, Allatoin and Optics-powered Niacinamide created to deliver flawlessly radiant skin. ABOUT THE PRODUCT: Noticeably lightens skin, reduces dark spots and blemishes. It helps to disappear dark spots from your skin and gives a smooth finish to your skin. It requires very little amount so the product lasts for really long. I'm using this product from past 2 years and I'm so much in love with it. It never made my skin rough or any other problems. As a regular user, I'll definitely recommend to all you pretty ladies. INGREDIENTS: Niacinamide, allantoin, stearic acid, carbomer, titanium dioxide and water. Use every morning after cleansing skin. Smooth lotion over entire face and neck with your fingertips. I would recommend to use it twice a day so that your skin is protected, healthy and soft throughout the entire day. PACKAGING: I found its packaging really cute and adorable. The product is been stored inside a big white colored plastic bottle with pressing cap on the top. The cap of the product is very well designed as you can press down only required amount of product. On the white body, you can see the logo and the product name at the front plus all the necessary details at the back of the body. Finally it has been covered with a cute pink plastic cap adding elegance to the bottle. Nearby cosmetics shops and markets. Online: You can buy it on flipkart, myntra and purplle. Also you can buy on their website here. DEMO: I prepared a collage to show you the demo. For the demo, I applied it on my hand. Take the required amount of the product on your hand. Gently apply it on your hand. Gives a smooth finish to your skin. Hydrates your skin and keeps it healthy. Requires less amount of product at a time. Makes your skin soft and fair. Moisturizes your skin for 24 hours. Protects your skin against UV rays. Contains Vitamin E, which is good for skin. Price baby, phew. :p It's expensive. MY SUGGESTIONS: In my point of view, I;m going to buy it again because I'm in love with this product. It really leaves your skin smooth, hydrating and healthy. Also it makes your skin fairer as the product says 'flawless white'. I would recommend you to try it out and you'll surely going to adore it as I do. Do share your views on this product in the comments below. Have you tried it? If yes, then what is your take on it? If not, will you give it a try? Loved the review dear...how is it for oily skin? U look soo cute sweetie..I love the review.. Sounds nice! I am using their face wash( the black one) already on third tube and just love it!